Hello. My name is Bree and I write at bakedbree.com. Thank you for having me for the Holiday Bake, Craft, and Sew Along. I love to give and receive food gifts during the holidays. I love to know that someone spent time making me something that they thought that I would love. 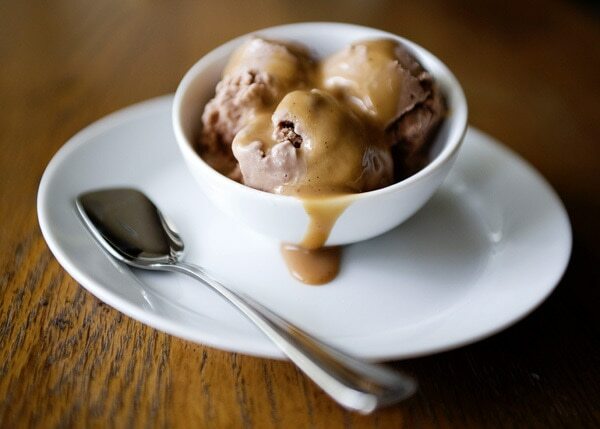 My Sea Salt and Vanilla Bean Caramel Sauce is always a hit and can be used in many different ways. Over ice cream, in a buttercream frosting, over pancakes, or straight from the jar. 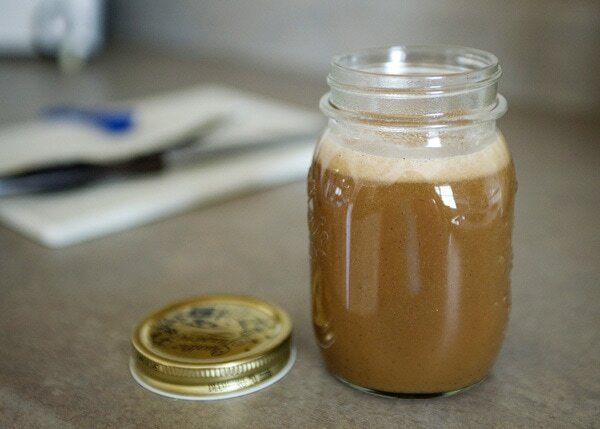 Making caramel is not hard, but it is helpful to follow my tips which can be found here. 1 1/4 cups heavy cream, used 2 cups by accident, oops. 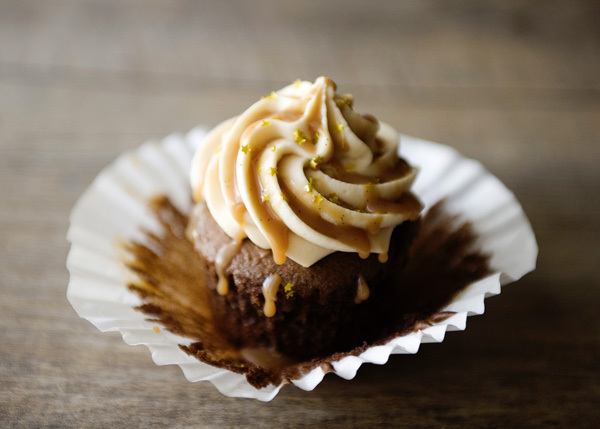 The cupcake is so cute and I love how it’s drenched in caramel sauce. Yum! This sauce looks delicious, especially spread over the frosted cupcake. Love that the recipe is full of vanilla and vanilla bean!